As we reported last month, Moog Music is expected to announce new hardware at the Musikmesse show in Frankfurt, Germany. The suspense is apparently driving people nuts, reports Music thing. 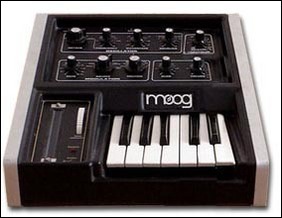 So, in a market where we generally don’t get the silly Photoshop mockups that, imaginary Mac gear and cellphones get, we suddenly have (tongue-in-cheek) ideas of what this future Moog equipment might look like. My personal favorite, from Vintage Synth Explorer, is Amos’ Femto-Moog, with ultra-simplified design and a one-octave keyboard. You know, for DJs.